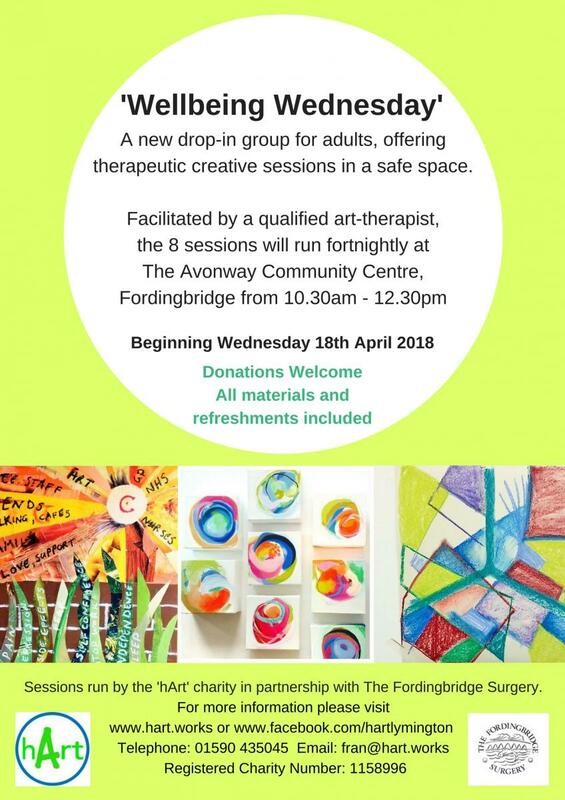 hArt is a Lymington based charity, providing professional art therapy sessions and creative wellbeing workshops, to people across the New Forest, Hampshire and Dorset. Our aim is to support mental health; reduce isolation; encourage self-expression and promote connection through creativity. Our community workshops seek to engage people who may be feeling isolated or who wish to develop their self-confidence, or who simply want to relax and de-stress. We provide a safe, relaxed and fun environment for people to explore their creativity and develop self-care strategies. All sessions are facilitated by experienced arts workers and art therapists.